No, these aren't the things that are bolted inside the car in case you turn it over - those are rollover cages. Anti-roll bars do precisely what their name implies - they combat the roll of a car on it's suspension as it corners. 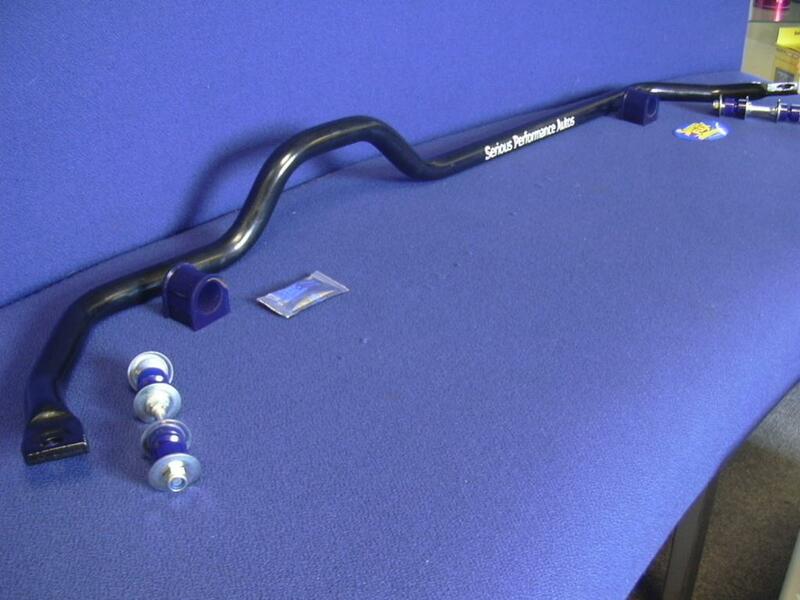 They're also known as sway-bars or anti-sway-bars. Almost all cars have them fitted as standard, all have scope for improvement. From the factory they are biased towards ride comfort. Stiffer aftermarket items will increase the road holding but you'll get reduced comfort because of it. The anti-roll bar is usually connected to the front, lower edge of the bottom suspension joint. 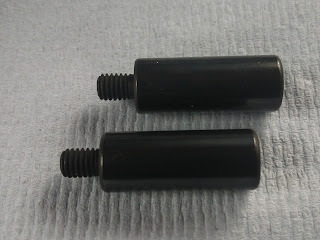 It passes through two pivot points under the chassis, usually on the sub frame and is attached to the same point on the opposite suspension setup. Effectively, it joins the bottom of the suspension parts together. When you head into a corner, the car begins to roll out of the corner. For example, if you're cornering to the left, the car body rolls to the right. In doing this, it's compressing the suspension on the right hand side. With a good anti-roll bar, as the lower part of the suspension moves upward relative to the car chassis, it transfers some of that movement to the same component on the other side. In effect, it tries to lift the left suspension component by the same amount. In doing this, it's actually compressing the suspension on that side which basically counters some of the roll in the chassis by lowering that side of the car. 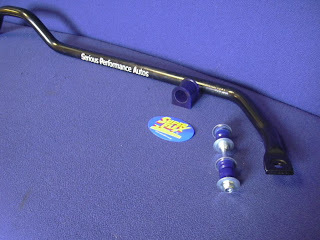 Typical anti-roll bar (sway bar) kits include the up rated bar, a set of new mounting clamps with polyurethane bushes, rose joints for the ends which connect to the suspension components, and all the bolts etc that will be needed. 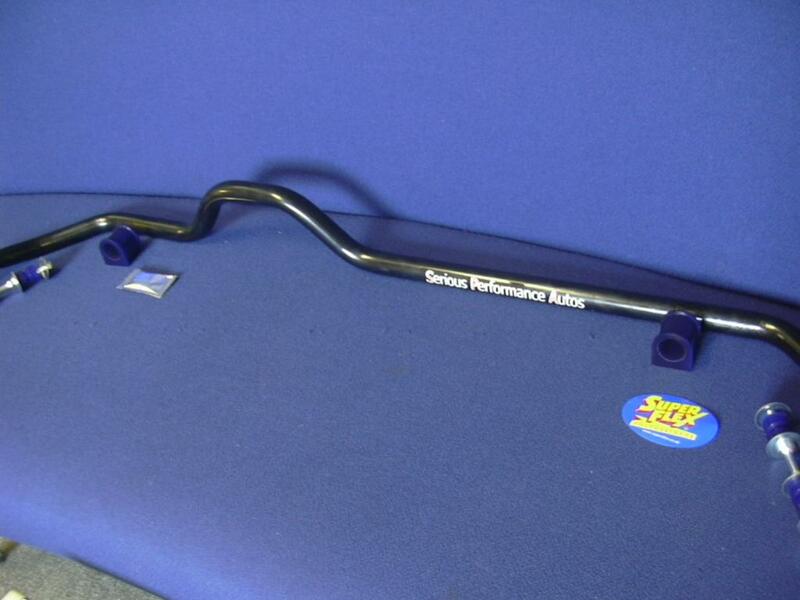 The standard Anti Roll Bar fitted to a GTS-25T Spec 2 is 17mm this upgrade supplied from Serious Performance Autos is 26mm. So you don't have to be a rocket scientist to see that it's going to be somwhat stiffer! Naturally this will be fitted with Polybushes manufactured from a high grade polyurethane compound which as similar elastic properties to rubber, but with inherently superior shear strength and resistance to wear. Kit consists of the following items. Oh, you gone all techie now. I will try to understand this when I am less tired :p.
Ok! I get it now, yay!